Come see the ARKS Promotion Squad play the PlayStation 4 version of Episode 4 on Nico Nico! During the broadcast, you’ll also get to experience a Variety Corner and the Prize Corner. The fun begins on February 6th @ 19:00 ~ 22: 00 JST! Reborn: Episode 4 is almost here! Starting after the date listed below, players can download a portion of the January 27th update in advance. 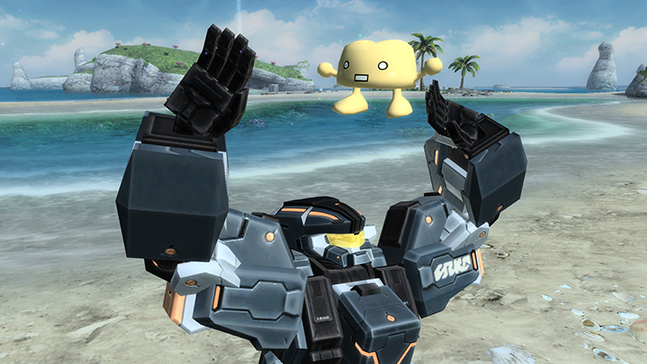 When the pre-patch becomes available, you will be prompted to download it when you open the Official PSO2 Launcher. Click [Yes] in the dialog box that appears and the download process will begin. The downloaded files will be stored in the “_precede” folder, located in your PSO2 installation directory. Once the Episode 4 update goes live during maintenance on January 27th, the pre-patch files will automatically be copied over to the official game. The file size for the main patch will be revealed at a later time. The March issue of Dengeki Bazooka!! is now available for purchase. Included with the magazine is an item code for a Mag device modeled after the Oh! Gattiman comic’s Ketsukacchin character. ※The item code cannot be activated until after January 27th’s maintenance. Well, at least the people at Arks-Layer will likely be able to check if it breaks the tweaker at all by dissecting the files right? well from past experiences…they usually can check when the main patch goes up. I guess my only concern for now is whether this is the only pre-patch for EP4, or there’s more to be revealed at later date. oh boy, 3 GB again! Well, we can be lucky for now. Don’t remember exactly, but… Episode 3 patch was about the same size or a little more, right? So this is the thing i accidentally installed? Whoops. more like never install pre patches period…amirite?